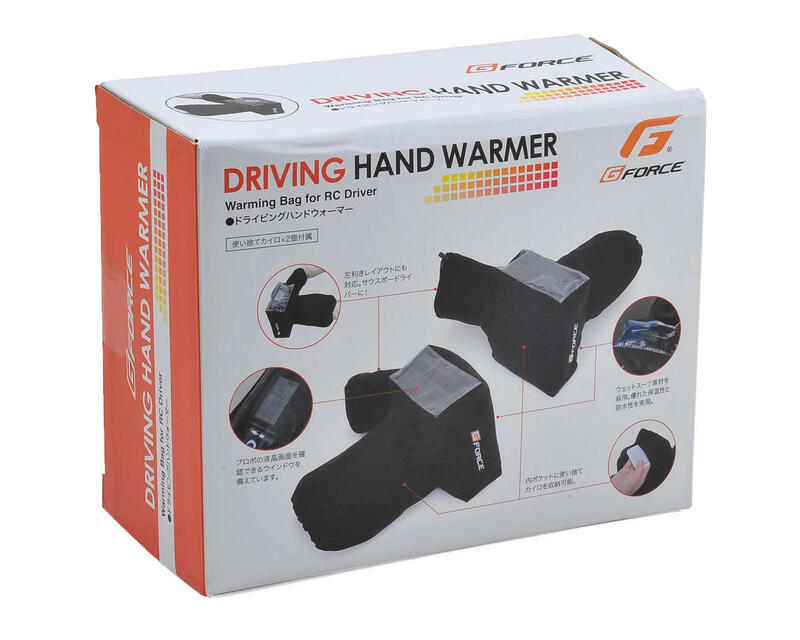 GForce Driving Hand Warmers are made from warm and waterproof wet suit material and are a must have if you are driving in cold or wet conditions. 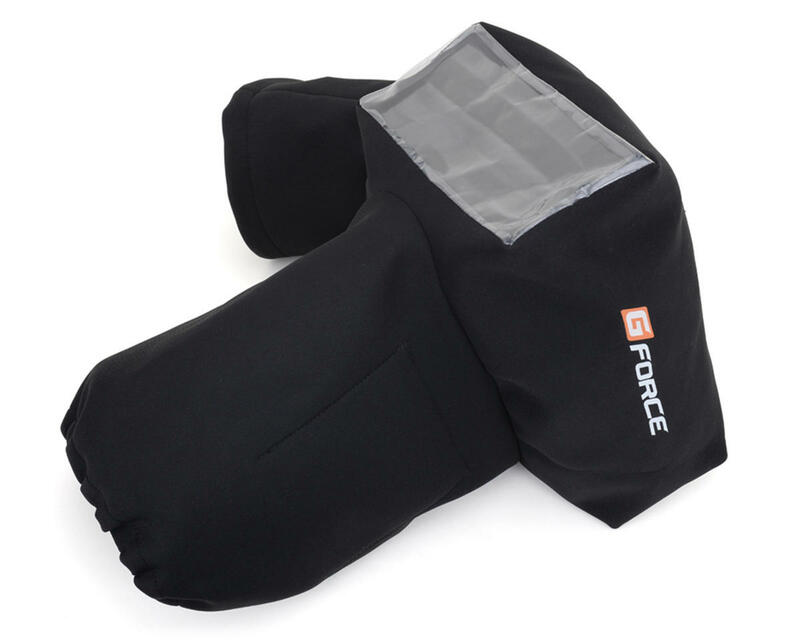 The GForce hand warmers will protect your hands and keep them warm so you can stay in control. 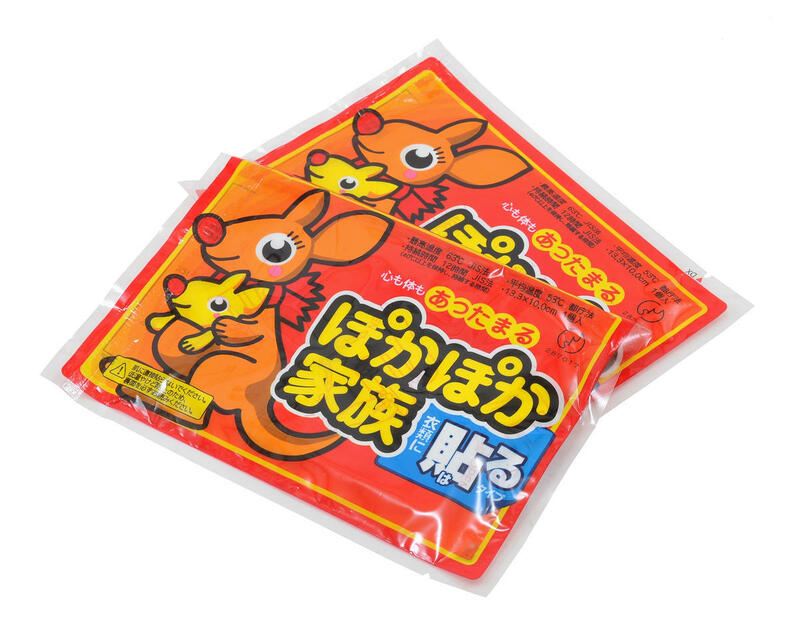 The design features interior pockets that will fit disposable hand warmers to keep your digits nice and toasty, and the warmer can be used in either right or left handed positions. 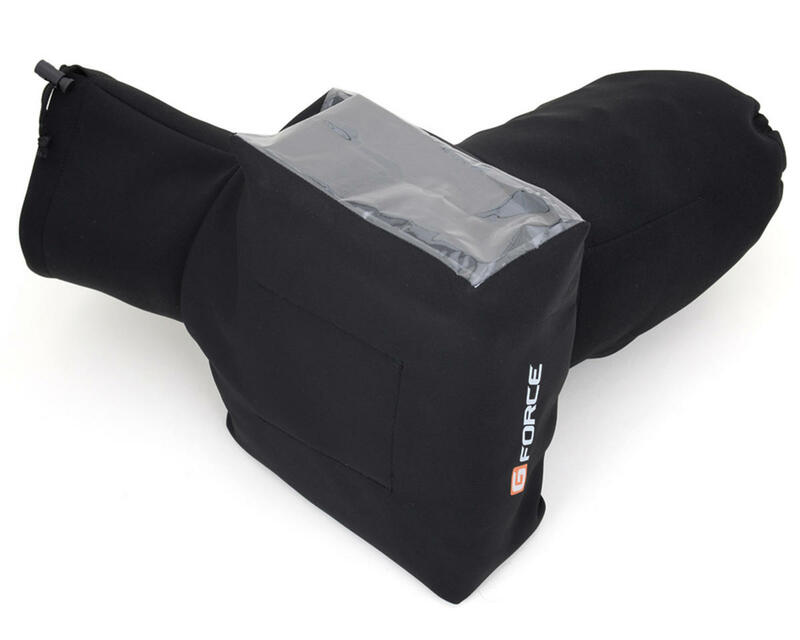 Plus, a clear window allows you to monitor the LCD screen on your transmitter so you can make adjustments on the transmitter, or monitor telemetry data.